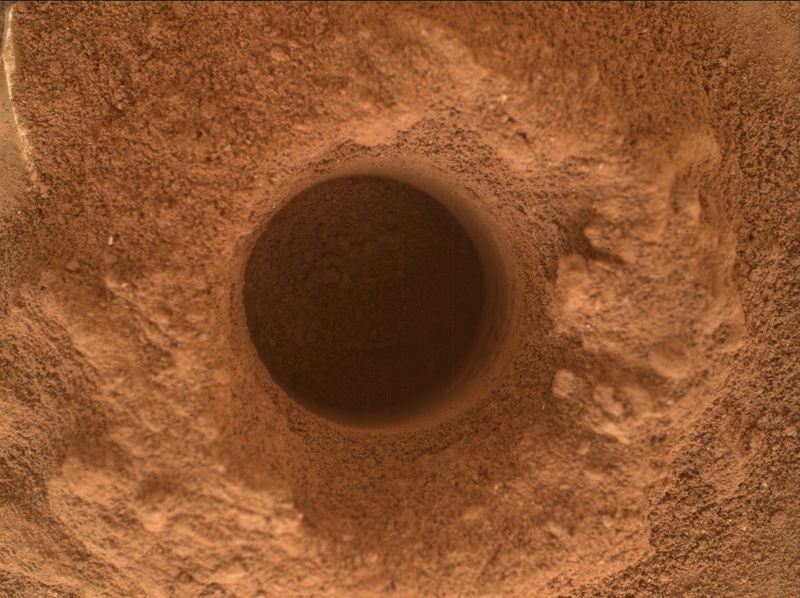 The investigation of the Duluth drill hole is going well, and is expected to continue on Sol 2082. First, MAHLI will take a picture of the drill tailings to look for an imprint of the APXS contact sensor, then will acquire another rover "selfie." The major dust storm that caused the solar-powered Opportunity rover, on the other side of Mars, to shut down has somewhat darkened the skies over Gale Crater, but is not expected to seriously affect MSL operations. Still, there is great interest in the environmental effects of the dust storm, so the Sol 2082 plan includes more Navcam and Mastcam observations of atmospheric dust and Right Mastcam images intended to detect changes due to winds. ChemCam will also measure the elemental chemistry of the material in the sample dump pile, if the wind hasn't blown the pile away by then! Finally, MAHLI will take images of the calibration targets on the front of the rover to monitor camera performance.